Sam Miller came to Liberal in 1916 from Kiowa, Kansas and was employed briefly by the Sparling Brothers. He then moved to Wellington, Kansas. In October 1917 a couple of businessmen from Liberal traveled to Wellington to urge Sam to move back to Liberal because Liberal needed a Mortician due to the 1917-1918 Spanish Flu Pandemic. Sam relocated back to Liberal and established Miller Funeral Parlor. Two of Sam’s sons assisted their father at with the Mortuary, Wayne and Wendell. Wayne eventually purchased the business from his father. Wayne joined the firm in 1940 then enlisted into the Military to serve during WWII. After the war, Wayne moved back to Liberal and became to sole owner in 1965. In 1976 James (Jim) M. Kauffman moved to Liberal to work for Wayne and then purchased the Mortuary in 1980. Jim continued to serve the community with the same respect and compassion that Miller Mortuary has been known for. Unfortunately, Jim Kauffman passed away on September 4, 2012 after a long battle with Kennedy’s Disease. After Jim’s passing Gene McElroy, a long time personal friend of Jim’s was asked to assist Jim’s widow while she prepared to sell the business; after a couple of months and with the support of the community Gene and his wife Heather decided to purchase the Mortuary. On April 1, 2013 Gene and Heather McElroy purchased Miller Mortuary. Gene was born and raised in Liberal; graduating with the class of 1993 from Liberal High School. Gene went on to graduate from Dallas Institute of Funeral Service in 1995 with an Associate’s Degree in Mortuary Science. With 23 years’ experience as a Licensed Funeral Director & Embalmer Gene brings a professional and down to earth approach with the families he serves. Now, over a century since Miller Mortuary began serving Liberal and the surrounding area, Gene carries on the tradition of compassion and personal service to families in their time of greatest need. 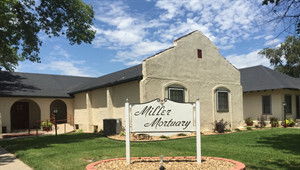 Miller Mortuary offers the most up to date services families have come to expect including Traditional Funeral Services, expanded Cremation Service options and Personalized Video Tributes. If professionalism, integrity, and trust are qualities that you seek then Gene and Miller Mortuary are here to serve you in your time of need. Gene and his wife, Heather, have been happily married since 1994 and have two children; Meghan, age 21 and Conner, age 13. Born and raised in Liberal, KS Gene moved to Dallas, TX after graduating from Liberal High School to attend Dallas Institute of Funeral Service. Upon graduating from Dallas Institute in 1995 he then served his apprenticeship in McKinney, TX while working with Turrentine-Jackson-Morrow Funeral Home. and moved back to Liberal, KS in 1997 to work with Tom Kitch at Kitch Funeral Home until Tom sold the business in 2000. Even though Gene was not working in Funeral Service full time between 2000 - 2012 he assisted both local Funeral Establishments on many occasions while maintaining his Director & Embalmer licensure. Gene has also held a duel Kansas and Oklahoma Insurance License since 2000. 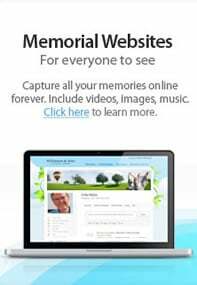 Due to his extensive Life Insurance knowledge and experience clients will have the peace of mind knowing that their pre-arranged funeral plans are in order and properly overseen.